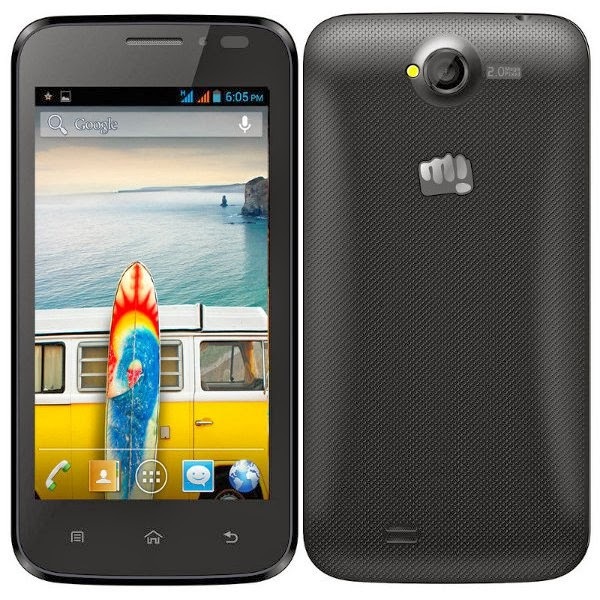 Indian handset maker Micromax has launched a new budget smartphone A66 Bolt priced at Rs 6,000. The handset is available for purchase on the company's website, with a promised delivery time of 7 to 10 business days. Micromax A66 Bolt sports a 4.5-inch TFT display (480x854p). The phone is powered by a 1GHz Spreadtrum SC7710G processor and 512MB RAM. A66 Bolt comes with a 2MP rear camera with LED flash, and packs 512MB internal storage expandable up to 32GB via microSD card. The budget smartphone boasts of a 1500mAh battery promising talktime of 4.5 hours and standby time of 116 hours. It runs Android 4.1.2 Jelly Bean. The phone offers pre-loaded apps such as Spuul, Hike, Opera, Milive and Game hub. In terms of connectivity, Micromax A66 Bolt supports 3G data, WiFi and Bluetooth 2.1 but lacks GPS.